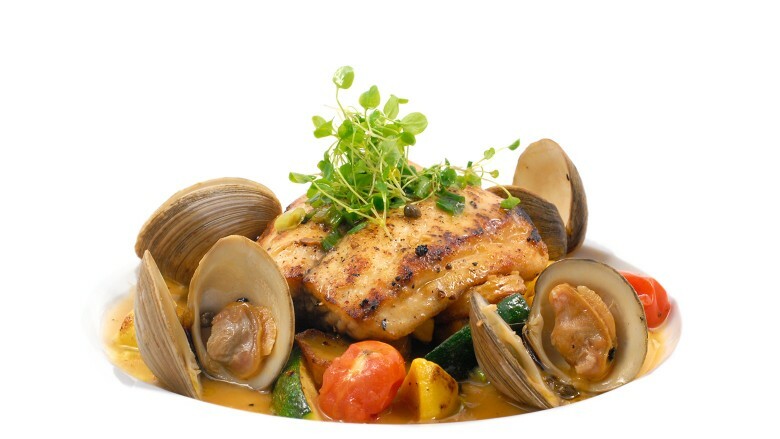 Da Vinci Ristorante brings the wonderful flavors and ambiance of Italy to its perch between the South End and the Back Bay. 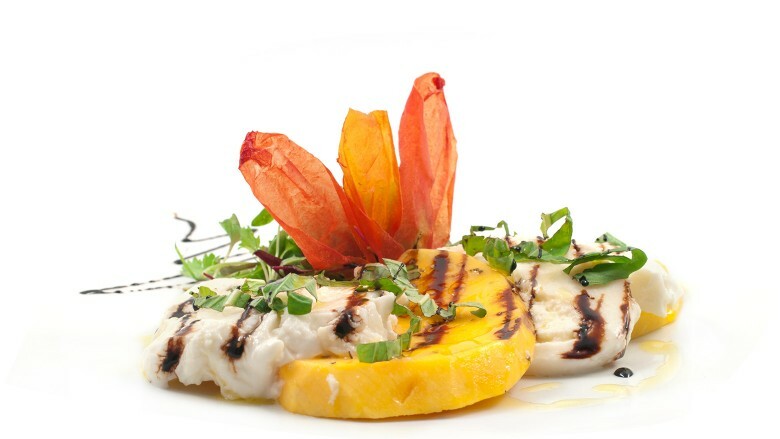 Chef-owner Peppino's menu blends modern and classic cuisine from his years training in Europe's Italian restaurants - beautifully presented antipasti as well as house-made pastas, breads and desserts. The dining room, outfitted in warm hues of brown ochre, is simultaneously elegant and welcoming. An expanded bar area features low couches and comfy chairs where patrons can get cozy over a glass of wine from the extensive list or cocktails named after Leonardo Da Vinci's most famous works - the Mona Lisa or the Last Supper. During the summer months, guests are welcome to enjoy cocktails or dinner on the outdoor patio. Served with broccoli rabe on a house made grilled crostini. Ground Sirloin meatballs in a plum tomato sauce. Finished with Parmigiano cheese. Tossed in a combination of white truffles and Parmesan cheese then lightly fried. Crostini topped with fresh pesto, diced tomatoes, and mozzarella di Bufala. Alternating layers of eggplant and cheese. Topped with smoked mozzarella. Lightly fried risotto rice balls stuffed with mozzarella. Served on a bed of thinly sliced Spec. 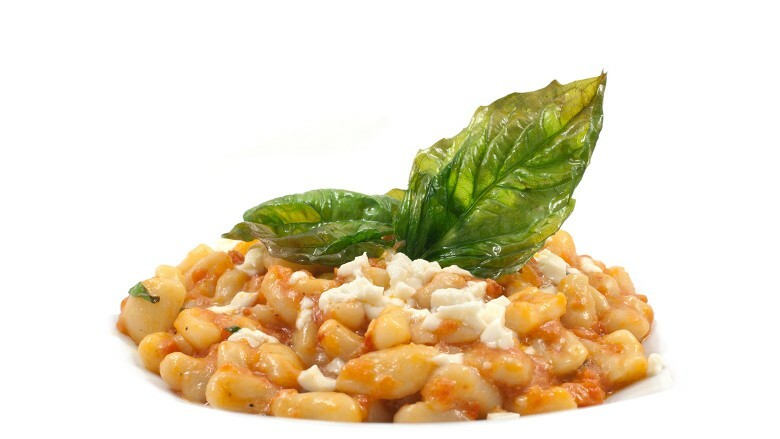 Warm local diced tomatoes tossed with Gaeta olives, oregano & fresh basil. Topped with Vermont goat cheese. dried cranberries and green apple vinaigrette. white wine, butter, capers and cherry tomatoes. Whole leaves of baby Romaine tossed in a white truffle infused dressing. Served with white anchovies and a fried poached egg. Assortment of Italian cured meats: Capocollo, Salame, Mortadella, Soppressata. Served with cheese and olives. 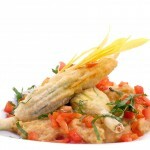 Tempura battered calamari and spicy cherry peppers, fried and served with pickled tartar sauce. 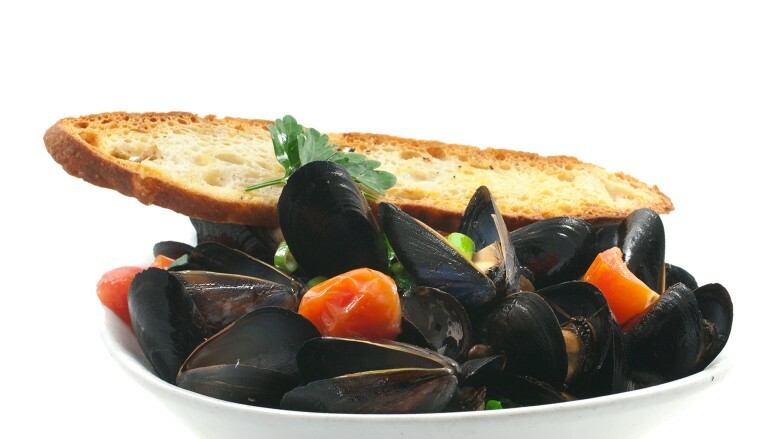 Served with a cumin & ginger warm tomato sauce and a side of crostini. Hearty Mediterranean soup with seasonal vegetables. Gluten free (penne or gnocchi) or whole wheat pasta can be substituted with any sauce. All pastas made fresh daily. of tomatoes, ground sirloin and red wine. Topped with shaved Parmigiano Reggiano. then blanketed in a sage butter sauce and finished with toasted Macadamia nuts. and ginger then coated in a spicy tomato cream sauce. Finished with a curry leaf pistachio pesto. Homemade potato dumplings tossed with seasonal mushrooms. Finished with a touch of truffle oil and truffled cheese. 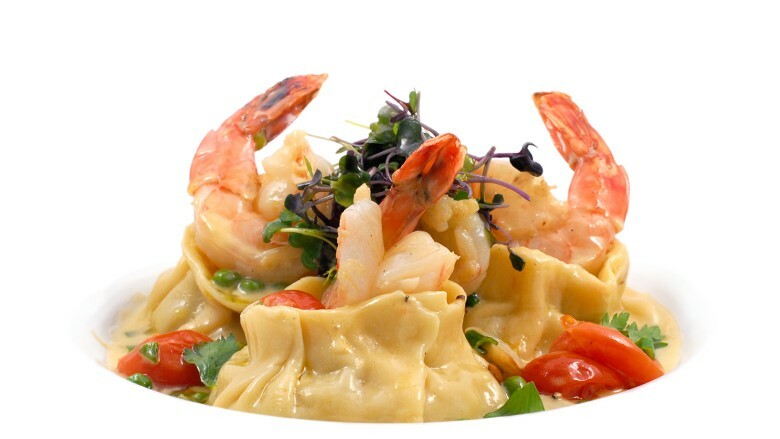 Cheese stuffed tortellini served with sautéed shrimp & English peas in a white wine creamy reduction. finished with a Chianti veal demi glaze reduction. Served over a potato gratin cake and sautéed spinach. Grilled 16 oz. 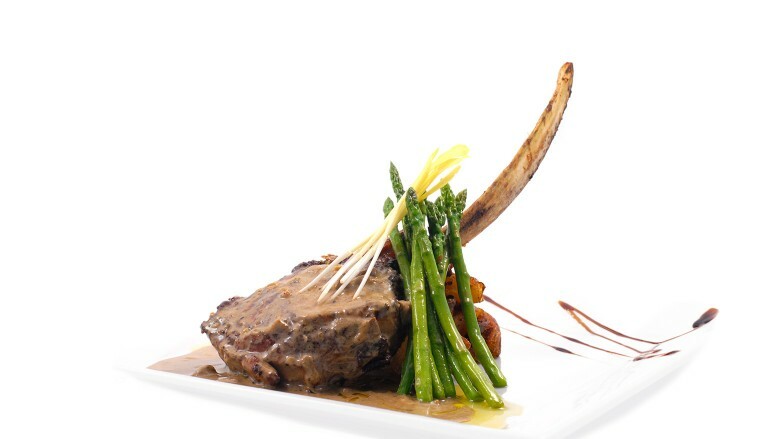 bone in veal chop topped with Gorgonzola cranberry sauce. Served with fingerling potatoes and sautéed asparagus. Panko crusted chicken breast topped with a plum tomato sauce and melted mozzarella di Bufala. Served with a side of Rigatoni pomodoro. 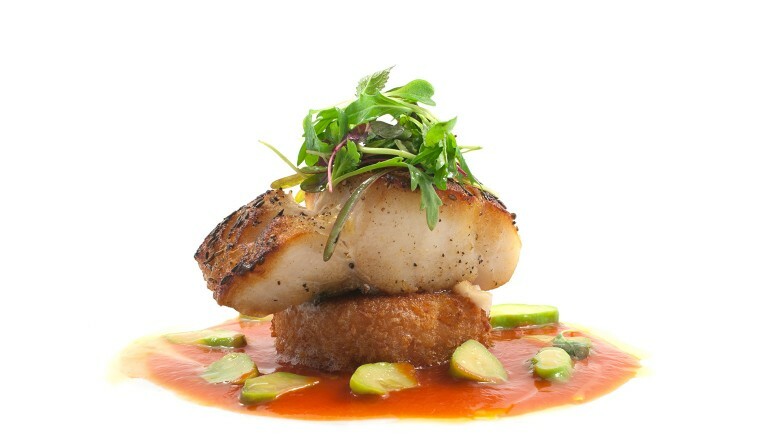 Pan seared and served with an English pea, cherry tomato and mussel risotto. Duck prepared two ways: confit & breast. Served with fingerling potatoes and sautéed spinach. Finished with a fig, cherry & juniper berry wine sauce. 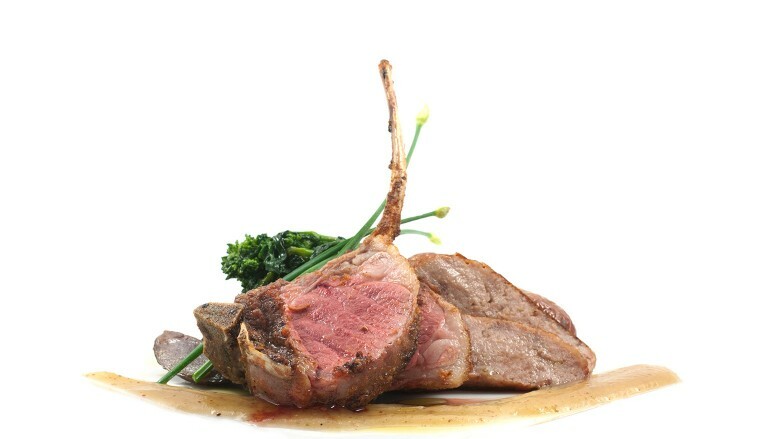 Grilled Colorado rack of lamb served with fingerling potatoes and sautéed broccoli. Finished with a ginger, cumin, lemongrass & marsala wine reduction. Mixed with white chocolate and finished with shaved dark chocolate and raspberries. 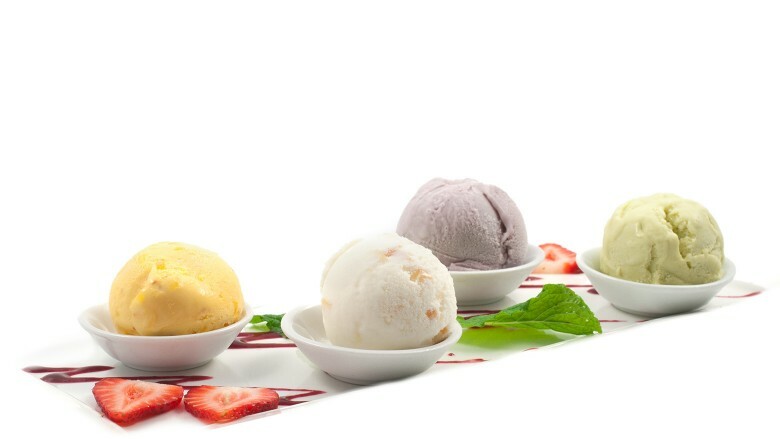 Assortment of three types of homemade gelato or sorbet. Puff pastry topped with thin sliced apples and baked to crispy perfection. 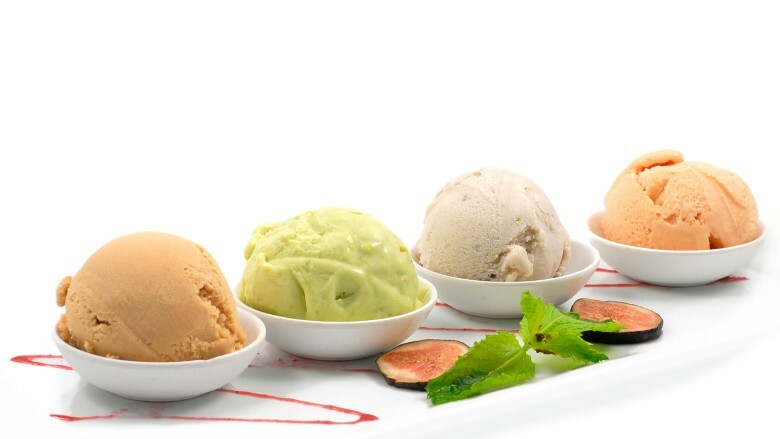 A selection of house favorites including soufflé, apple crostata, crème brulee and vanilla gelato. Risotto rice balls stuffed with mozzarella, lightly fried and served on a bed of tomato confit. Alternating slices of homemade mozzarella & local tomatoes; drizzled with extra virgin olive oil and balsamic reduction. Mixed greens tossed with Asiago, olives, onions, cherry tomatoes and raspberry vinaigrette. Beets marinated in white balsamic and honey served with goat cheese mousse and toasted sliced almonds. Arugula tossed in a balsamic vinaigrette and finished with red onions and grated Parmigiano cheese. Smothered in a classic sauce of heirloom cherry tomatoes, olives, capers and garlic. Finished with grated Asiago cheese. Homemade rigatoni pasta tossed in a slow cooked sauce of tomatoes, ground sirloin and red wine. Topped with shaved Parmigiano Reggiano. This homemade Indian – Italian fusion ravioli is stuffed with ricotta cheese, English peas, ginger and coated in a spicy tomato cream sauce. Finished with a curry leaf pistachio pesto. Panko crusted boneless chicken breast topped with a plum tomato sauce and melted mozzarella di Bufala. Served with a side of Rigatoni pomodoro. Grilled and served with grilled zucchini and roasted peppers. Finished with a white wine, cherry tomato & caper sauce. 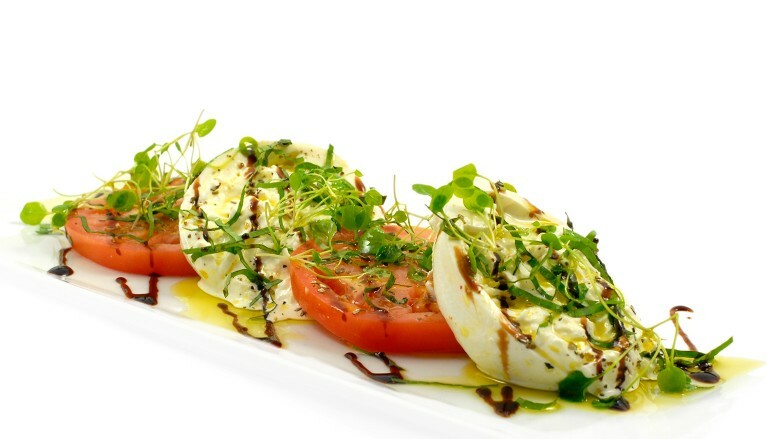 Topped with tomato confit and shaved Parmiggiano; served with a side of rucola salad. 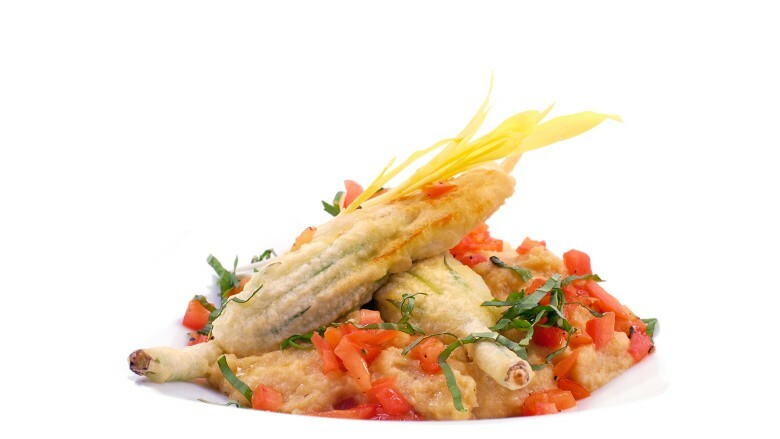 Let Chef Peppino surprise you with some of his amazing dishes. Price per person. Please ask your server for details.